Summer is here, and that means soaring temps and lots of sunshine. While both are very welcome after the long, cold Minnesota winter, they can be a much when you’re trying to enjoy your new outdoor patio. Ideally, it should be a good 10 degrees cooler than the surrounding air for optimal comfort, but is this achievable? Absolutely! Just check out the tips below for a variety of ways to keep your new patio comfortable in almost any heat. 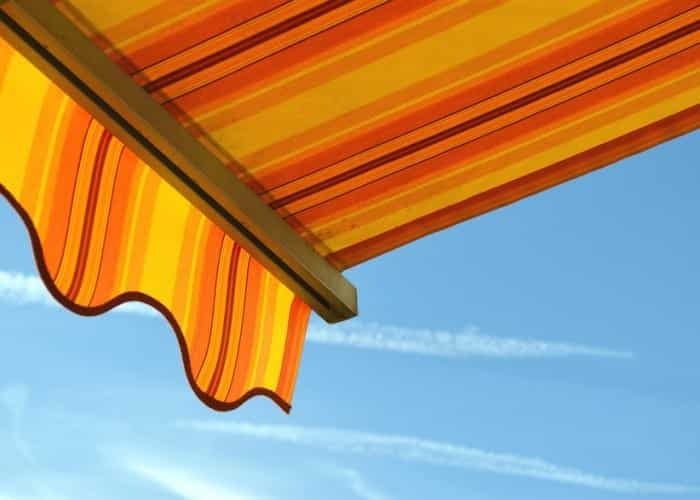 Awnings are a must if your patio faces west or south, or if it doesn’t have a lot of shade around it. West and south exposures get the strongest sun, and that means the highest temps. An adjustable awning will let you create shade and coolness when you need it, and be rolled back when you don’t. This is also important if you enjoy reading or working on your patio. Doing so in full sun creates a glare than can put a very painful strain on your eyes. Most good patio tables have a good umbrella (or space for one) as well. You’ll want one that’s sturdy and adjustable, so you can easily move it to follow the sun. It’s important to remember though that while a good umbrella will protect you from the sun and heat, and even a little rain, it’s important to make sure they are properly closed and secured if severe weather is on the way. 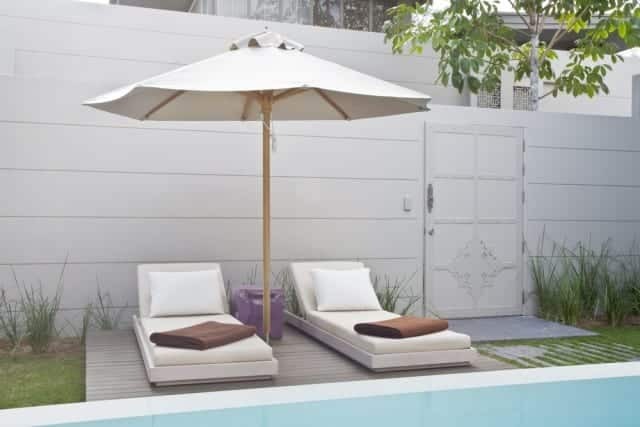 Umbrellas (and awnings as well) also provide some privacy. 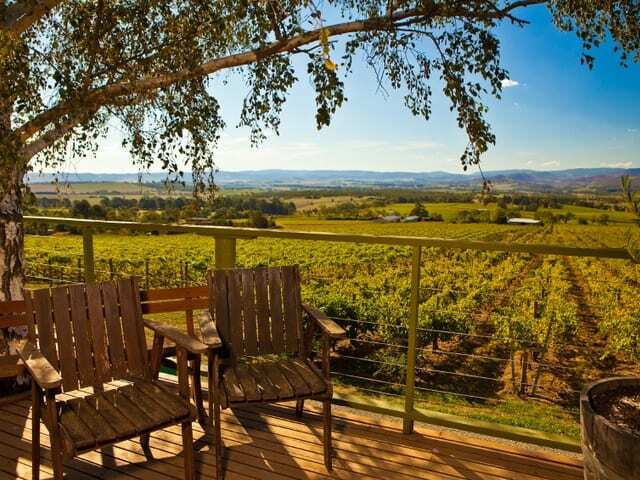 Mother nature can provide cooling to your patio in the most beautiful ways. Plant trees, tall shrubs, and vining or climbing plants to create a cool green oasis for you and your guests. Trellises and planters work great if space is an issue and the planters can be moved to where you need them. As a bonus, plantings make great privacy fences too. 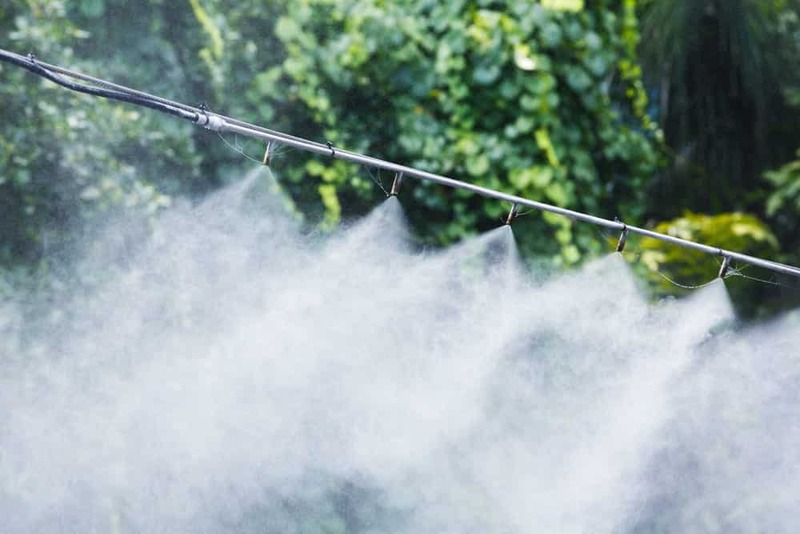 If you’re a heavy entertainer or just like spending most of your time outside, consider installing a misting system. They cool the air through evaporation. You can choose a misting umbrella or a more comprehensive system. In areas where the summer temps can be brutal, this kind of system is a must. It can cool your patio by up to 30 degrees! Fans are a traditional cooling method that will never lose popularity. 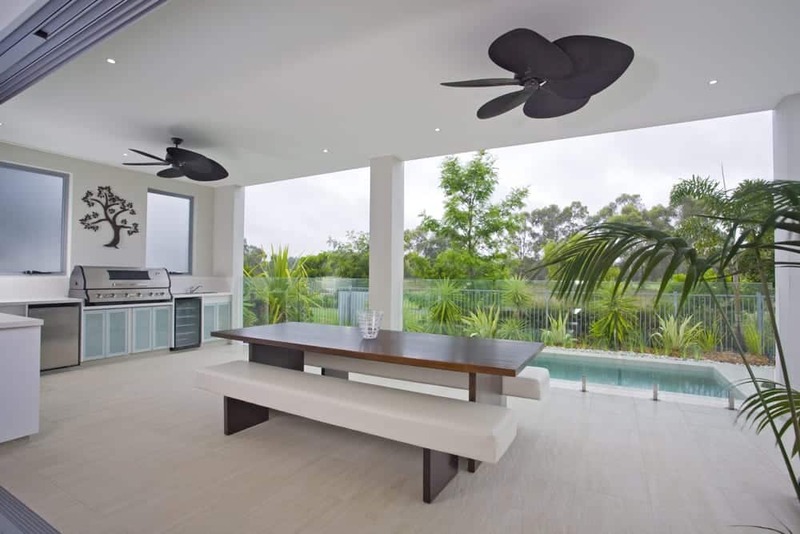 If your patio has roofing over it, you can install a ceiling fan, or use the traditional table or standing types. 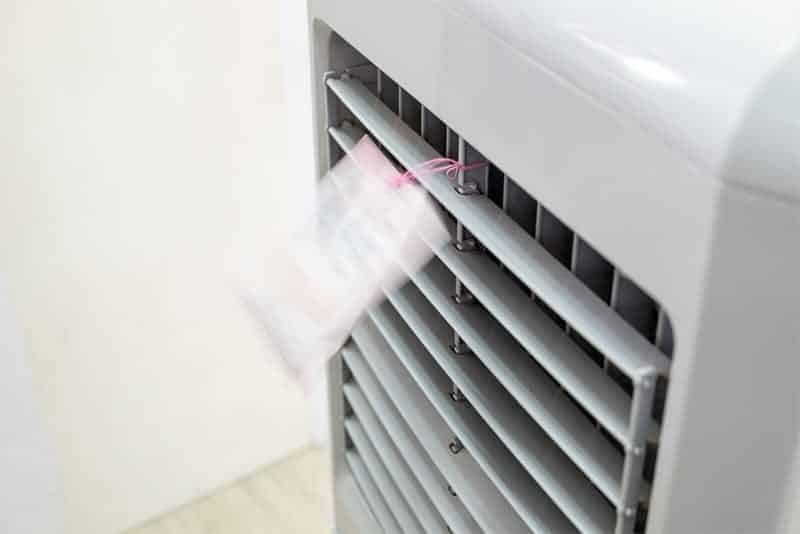 They are great for air circulation, especially on humid days when the air can get uncomfortably stagnant, and the light breeze will be appreciated by your plants as well. An evaporative cooler, also known as a swamp cooler, is a great idea for keeping large patio areas cool and comfortable. They’re portable and don’t take up much room, energy efficient and add moisture to dry air, which will be appreciated on hot, dry days. Your skin and your plants will thank you! 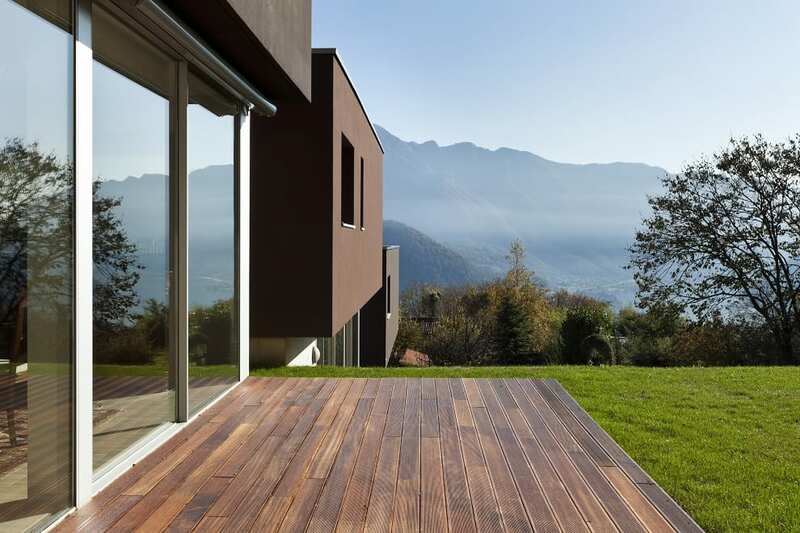 Your beautiful new patio will be cool and comfortable all summer with our tips. Even during a heat wave, a misting or evaporative cooling system will keep your patio area inviting and usable. Don’t hesitate to use Mother Nature’s natural cooling systems of trees, shrubs, and vines to bring shade and beauty to the area either. Even simple things like fans and awnings can go a long way toward keeping your patio your favorite place to be this summer and for many more to come.